The Battlefield 1 Premium Pass is now available on all platforms (PC via Origin, PlayStation 4 and Xbox One) for free to keep, as long as you “acquire” it before September 18th. With Battlefield V now delayed to the second half of November, grabbing a free Battlefield 1 Premium Pass is surely a more enticing prospect. Below you can check out all the content details included with each expansion. 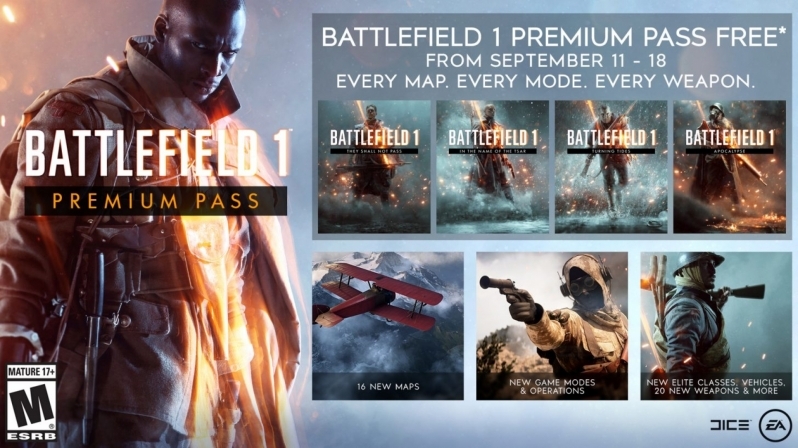 Battlefield 1 They Shall Not Pass is the first expansion pack for Battlefield 1, available standalone or as part of Battlefield 1 Premium Pass. Play as one of the most ferocious armies in WW1 – the French. 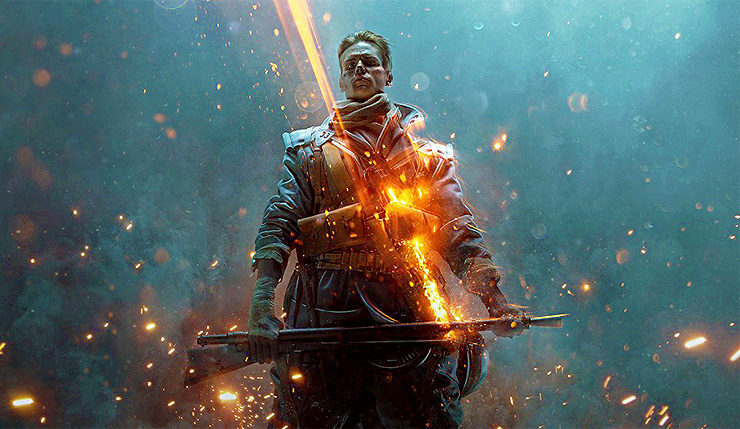 Engage in the savage fighting around the furnace of Verdun, and descend into the bowels of Fort de Vaux where barbarous battles rage in the gas-filled corridors. Take advantage of the mechanical monsters and unique arsenal by the Aisne riverbanks in the largest tank assault of the war. The French adopted a new battle cry during the war: They shall not pass! 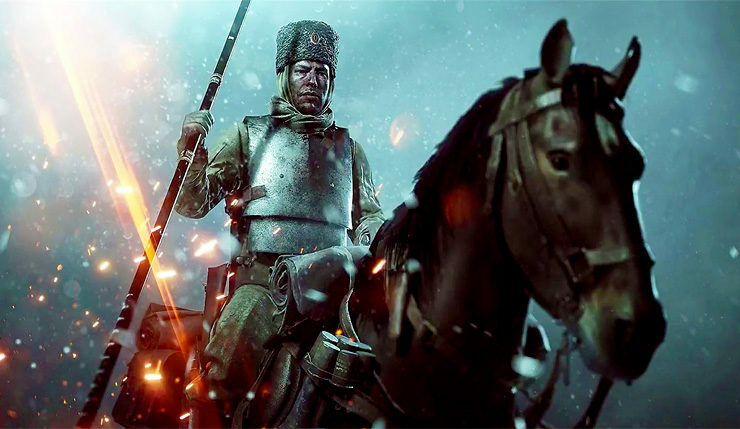 Battlefield 1 In the Name of the Tsar is the second expansion pack for Battlefield 1, available standalone or as part of Battlefield 1 Premium Pass. Join forces with the Russian Army across the expansive Eastern Front of World War 1 and witness the power struggle of the civil war that followed. Ride in Galicia with the legendary Hussars during the epic Brusilov Offensive. Partake in the skirmishes of the Albion assault in a freezing archipelago. Pilot the massive bomber Ilya Muromets over the snow-covered ravines of the treacherous Łupków Pass. Drive the inventive Putilov Garford armored car in Galicia. Battle in Tsaritsyn where the machinegun fire echoes through the streets, as the White Army and the Red Army battle for control over Russia in the civil war. The Russian Empire – the largest army in the world entering the battle with some of the most modern weapons and vehicles of the Great War. 6 new multiplayer maps in blistering winter set on the eastern front: Galicia, Brusilov Keep, Łupków Pass, Albion, Volga River and Tsaritsyn. Two new epic Operations including Brusilov Offensive – one of the most lethal offensives of the war. The new game mode Supply Drop: Join a desperate fight for supplies on the eastern front as planes airdrop everything needed to outgun and outscore your opponents. 11 new unlockable weapons including the Mosin-Nagant M91, together with new melee weapons and the new Russian Standard 1912 grenade. Evolved Cavalry gameplay: Ride with the legendary Hussars and charge into battle with new tactical possibilities thanks to the all-new lance and new horse move set. Putilov Garford: A versatile Russian armored car with a huge rear cannon turret and heavy machineguns. Ilya Muromets: A massive Russian bomber plane that was unrivalled in size in the beginning of the war. Defend your positions with the powerful coastal gun batteries. Continue your Battlefield 1 career with new medals, dog tags, codex entries and more. Battlefield 1 Turning Tides is the third expansion pack for Battlefield 1, available standalone or as part of Battlefield 1 Premium Pass. Conquer land, air, and sea in the amphibious battles of the Great War. Storm the beaches of Gallipoli with the Allied forces or defend the Ottoman Empire’s fortifications at Cape Helles. Continue the battle at the Achi Baba hilltop in an intense infantry-focused push. Engage in the epic naval clashes of the North Sea between the British Empire Royal Marines and German Navy in Heligoland Bight. Take part of the daring British raid at Zeebrugge with rough waves and a vast German mole. Turning Tides extends the arsenal by introducing the new L-Class Destroyer ready to rule the waves in naval combat and the new C-Class Airship delivering death from above. British Empire – Royal Marines: Don the characteristic blue uniform of the British Empire’s elite naval troops and charge into battle with the new Royal Marines. 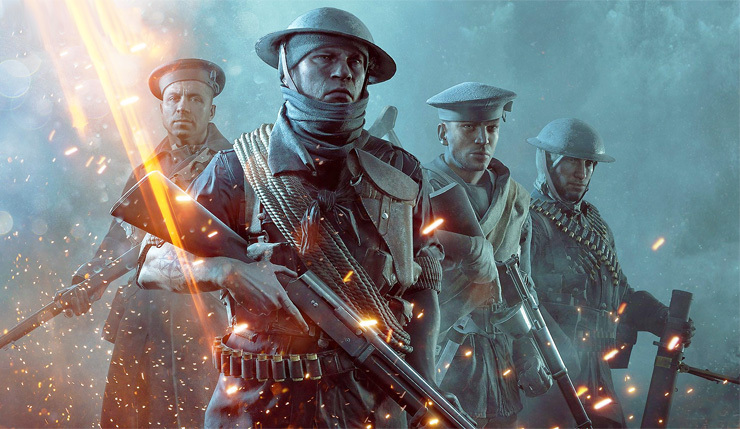 4 new multiplayer maps with beach landings, raids and naval combat: – Cape Helles (Gallipoli) – Achi Baba (Gallipoli) – Zeebrugge (North Sea) – Heligoland Bight (North Sea) • Gallipoli Operation: Take part in the British amphibious assault on the Gallipoli peninsula in 1915. Defend or attack sectors on the Cape Helles and Achi Baba maps. Battlefield 1 Apocalypse is the fourth expansion pack for Battlefield 1, available standalone or as part of Battlefield 1 Premium Pass. Enter a living hell and descend into the most gruesome and infamous battles of the Great War. Claw your way across the ravaged landscape of Passchendaele, filled with blood and mud, and huddle behind buried dugouts and tattered ruins. Charge across the wheat fields of the Somme as the battlefield transforms into hell on earth from the devastating artillery barrage. Fight in mountain trenches near the Isonzo River as the Austro-Hungarians face off with the Italian army over bitterly contested ground in Caporetto. Outmaneuver flying foes in cataclysmic dogfights on the maps Razor’s Edge and London Calling, and become a knight of the sky in the new game mode Air Assault. Prepare to enter the nightmarish horrors of WW1. Prepare to enter the Apocalypse. Go over the top and descend into the most gruesome and infamous battles with grinding trench warfare and deadlock struggles in the Great War. New Air Assault game mode: A rush for ace aviators and sharp-shooting gunners. Outmaneuver your flying foes in the cataclysmic dogfights and become a knight of the sky. 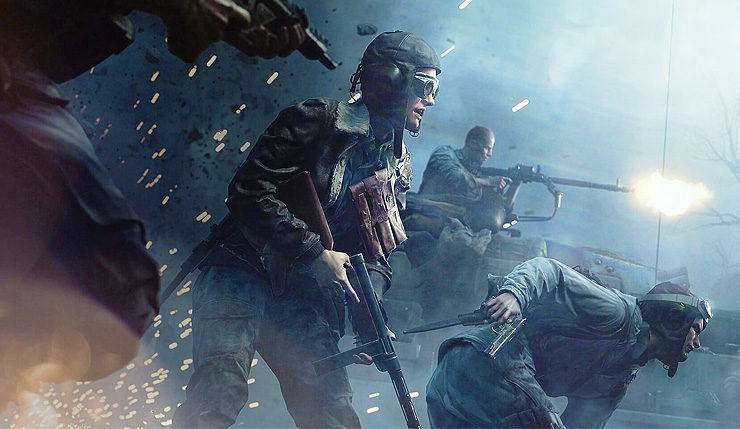 5 new multiplayer maps: Passchendaele, Caporetto, River Somme, London Calling (Air Assault), and Razor’s Edge (Air Assault). 6 new unlockable weapons including the RSC SMG, and new brutal melee gear born out of desperation.